Laura is a professional English to Italian Translator. 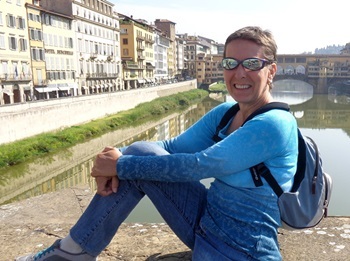 Native to Italy, Laura grew up in historic Bergamo, a medieval town perched on a hill in Northern Italy. She has a passion for languages and has been working as a freelancer in technical translation and language localization for more than 25 years. Laura graduated from the Università di Bergamo with a degree in foreign languages and applied linguistics. She later moved to Cambridge, Massachusetts to pursue a post-graduate certificate in Business Administration and Management from Harvard University. In her spare time, Laura is an avid cyclist, and enjoys outdoor activities including hiking, camping and skiing. Still on her bucket list, which is always growing, are biking across the United States, hiking the Triple Crown and visiting all of the National Parks in the United States. Laura is based out of Arlington, Massachusetts. Laura has been an ICD Translation preferred translator for over 20 years. Get a quote on your English to Italian translation project now!